Play out real-life scenarios with LEGO DUPLO Town educational toys: A recognizable world with modern DUPLO figures. 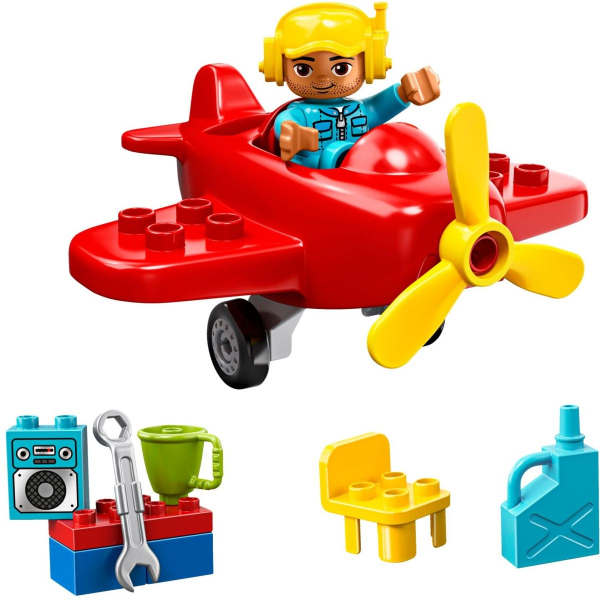 Show your child how to help the pilot fix up the 10908 Plane in his workshop, using the toy wrench and oil can. 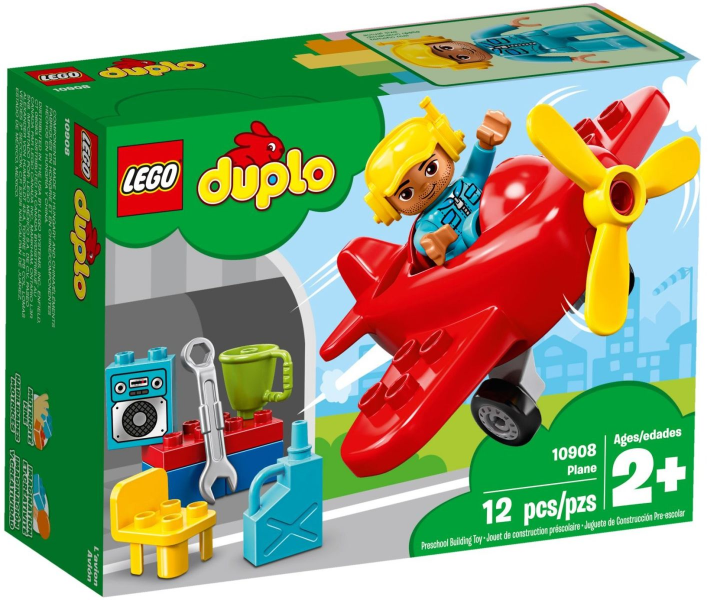 Toddlers will love to make the fun toy plane take off and fly it through the air, spinning the propeller as they go. 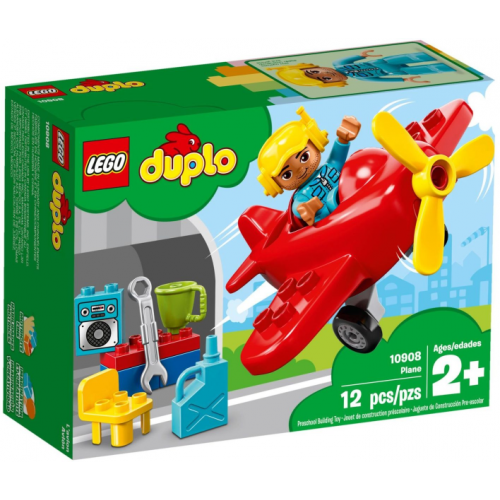 This propeller plane playset includes a pilot DUPLO figure.